We believe that this project will create wealth for poor disadvantaged subsistence farmers who live near a water source. They have the land, water, labour, seeds, and fertilizer. All they need to thrive is consistent, reliable irrigation. In many parts of rural Africa, families barely survive each year as subsistence farmers. They rely on the rain to irrigate their crops. Unfortunately, due to drought (or low rainfall) they are unable to harvest enough food to feed their (often large) families. Those whose lands are near to rivers or lakes, often don’t have any advantage over those whose lands are far – because they lack the equipment to harness the invaluable vital water resource (which in many cases is only a few meters away). There are hundreds of thousands (if not, millions) of rural farmers who have this problem and would be thrilled to have the benefit of a solar-powered drip irrigation system that would improve their economic status. However, due to their poverty, they cannot afford any such system. 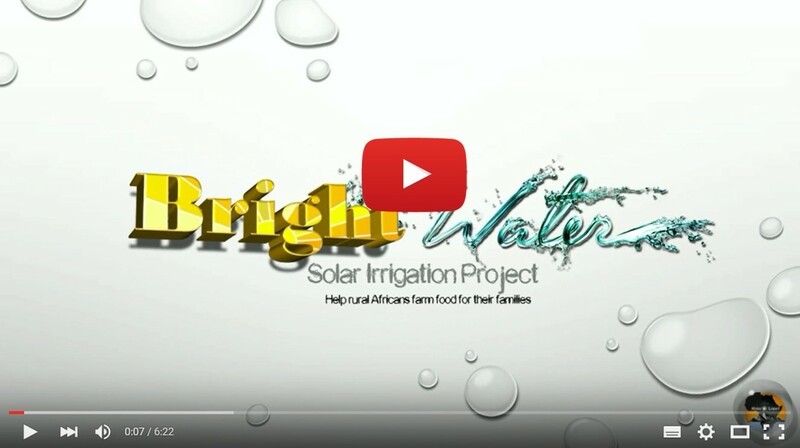 High Light Africa would like to provide solar irrigation systems to the countless farmers whose lands are within range of a water source such as a perennial river or lake. These irrigation systems would be made available to these rural farmers on hire-purchase basis based on the fact that the system will pay for itself in greater yields. So, in a nutshell, we want to empower rural subsistence farmers in Africa with the means to improve their economic status. We want to help these folk help themselves. I have travelled overland throughout much of sub-Saharan Africa and seen the vast water resources going unused whilst crops at the river banks are wilting due to drought. I grew up on a farm, my father is a farmer who uses drip irrigation. I realized that there is a way to help these rural farmers take advantage of the water resource right at their ‘feet’. We are busy developing a system that will be economical, durable, and effective that will suit the needs of these rural subsistence farmers. We are looking for help. We need people with technical skills in the field of solar energy, DC motors, and water pumps. Of course, we cannot do this without funding. If you are interested in helping in some way financially with a donation or investment, please contact admin@highlightafrica.com. In His service and loving it!